"Melanie is a well-respected expert resource, advisor and thought leader to the mortgage industry on the subjects of complex legal, compliance and mortgage technologies," said Dominic Iannitti, president and CEO of DocMagic. MReport states that the 40 women who were selected as Leading Ladies were nominated by their peers in the industry and then evaluated by judges at the Five Star Institute. The winners being cited as having all the qualities that make them strong leaders — such as their intelligence, drive and pursuit of innovation. Winners are acclaimed innovators that are making a positive impact in the mortgage industry. 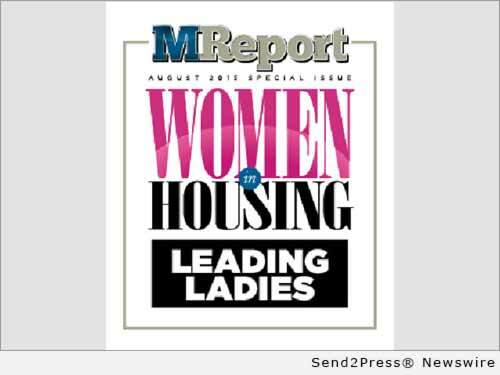 They will be profiled in the August issue of the magazine and also honored at the Women in Homeownership Leadership Forum held during the annual Five Star Conference and Expo in Dallas, Texas on Friday, September 18, 2015 from 1:15 p.m. to 2:15 p.m. The event is being co-hosted by Ernst & Young and Aspen Grove Solutions. Ms. Feliciano manages the Legal Department at DocMagic; serves as Editor-in-Chief of DocMagic’s monthly, electronic compliance newsletter, The Compliance Wizard; oversees, negotiates and prepares various agreements involving DocMagic’s customers and strategic partners; manages DocMagic’s risk; and handles legal matters relating to DocMagic’s business operations. She also supports DocMagic’s Chief Compliance Officer, Gavin T. Ales, and the Compliance Team with respect to DocMagic’s compliance products and services. Ms. Feliciano was responsible for implementing RESPA 2010 and TILA/MDIA 2011 across DocMagic’s compliance products, including DocMagic’s forms and compliance audits. She also supported the implementation of the Ability to Repay/Qualified Mortgage Rule and is active with DocMagic’s TILA-RESPA Integrated Disclosure Rule efforts at DocMagic. Ms. Feliciano is an active participant in the Mortgage Bankers Association (MBA) and regularly shares her perspective and expert knowledge on industry panels, roundtables and in the media. The complete list of Leading Ladies can be found here: http://themreport.com/news/origination/07-27-2015/mreport-announces-its-2015-power-players-leading-ladies-honorees. The Five Star Institute is a publishing, communications, marketing, and event planning company. The Institute hosts the largest mortgage event in the United States-the Five Star Conference and Expo. Among its many publications are DS News, dedicated solely to default servicing, and MReport, a B2B trade publication serving the broader mortgage field. Additional information about the Five Star Institute’s many business-building opportunities can be found at http://www.TheFiveStar.com/. More information about the Five Star conference can be found at http://www.TheFiveStar.com/fsc. Original Keywords: loan document preparation, compliance, Melanie Feliciano, eSign and eDelivery solutions, Dominic Iannitti, TILA-RESPA Integrated Disclosure Rule DocMagic, Inc. Torrance California TORRANCE, Calif.
REFERENCES: Awards and Honors News, loan document preparation, compliance, Melanie Feliciano, eSign and eDelivery solutions, Dominic Iannitti, TILA-RESPA Integrated Disclosure Rule DocMagic, Inc. Torrance California TORRANCE, Calif.